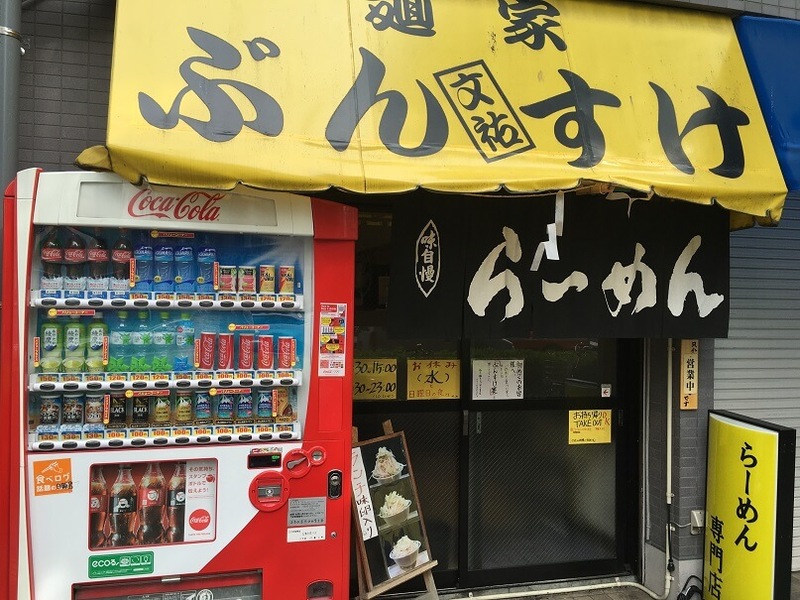 Today I introduce my favorite Ramen(ラーメン) restaurant in Asakusa(浅草). This is the entrance of restaurant. 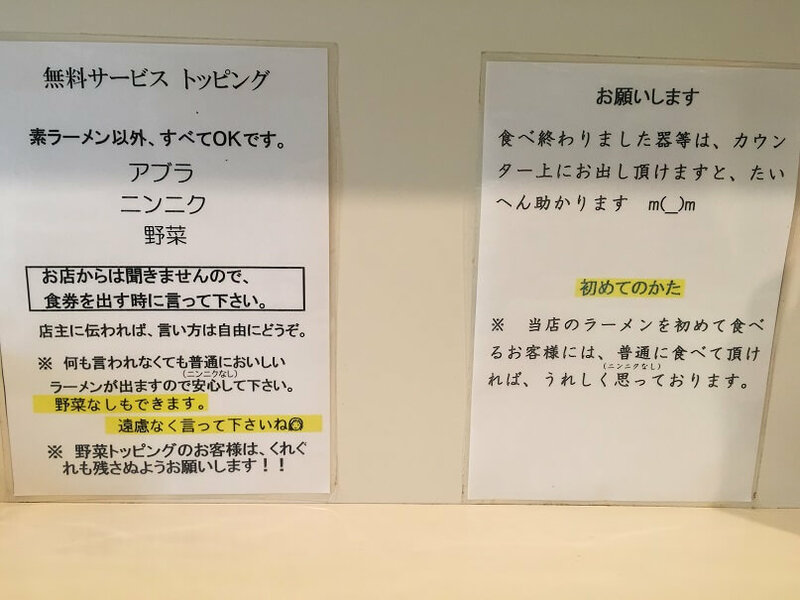 It says that you can add backfat(SUPER OILY SOUP), garlic or vegetable for FREE! So I ordered to add backfat and garlic. 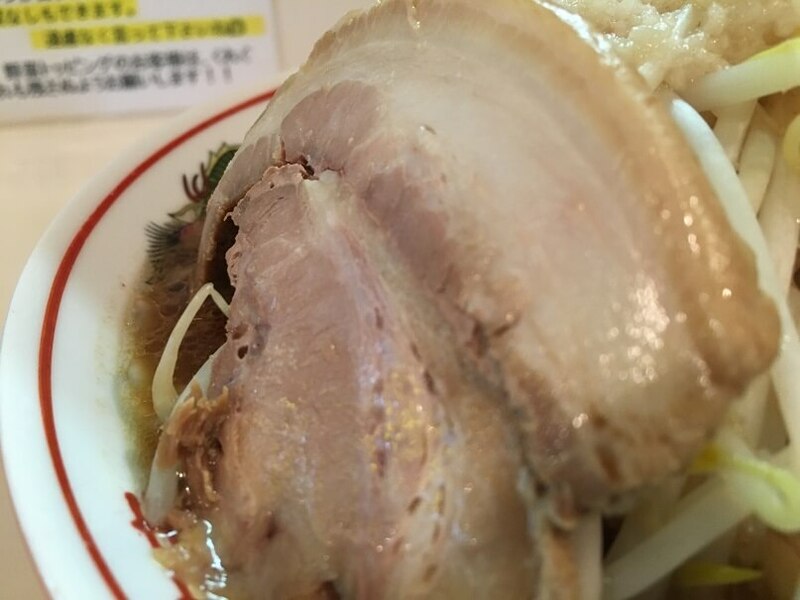 This is BUNSUKE URA Ramen(ぶんすけ裏). 750 JPY. 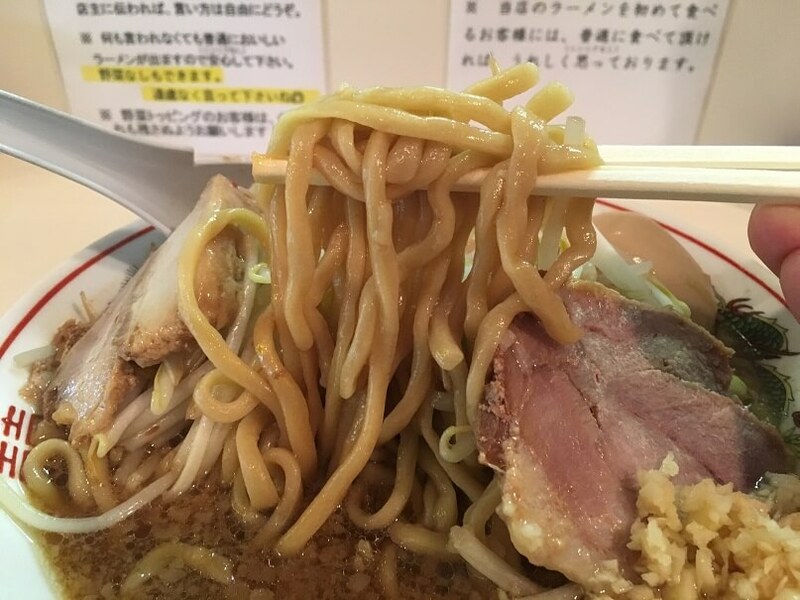 Generally this kind of Ramen is called JIRO-inspired Ramen. Too much fat & garlic. Vegetable like a tower! This white sauce is backfat! Creamy and super oily(Actually this is OIL). Gaaaaaaaarlic!!! 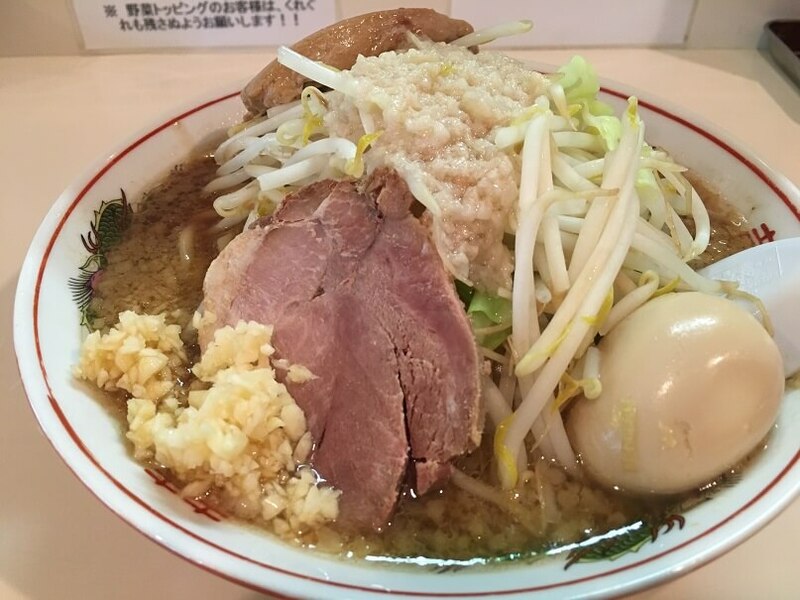 Make me powerful… Please be careful, this Ramen makes your breath HORRIBLE. Noodle is thick. It has 300 g of noodle in the bowl. 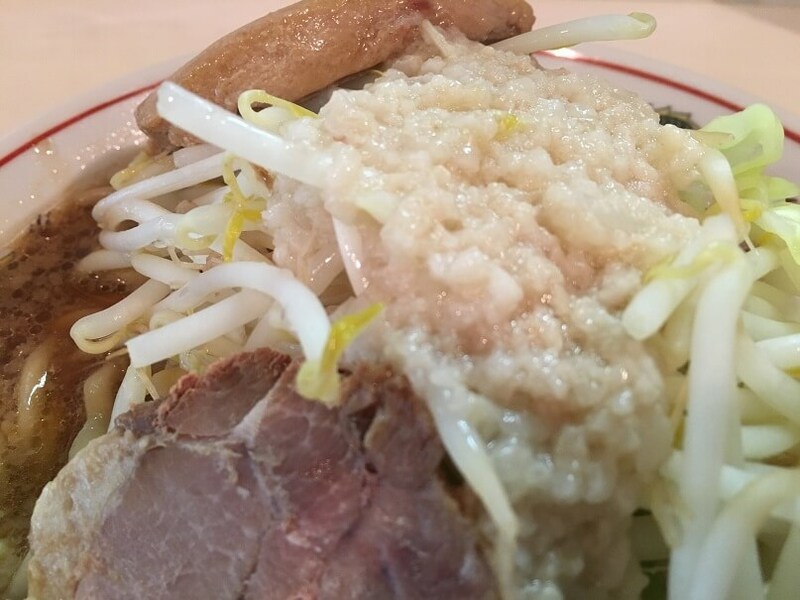 If you have a small appetite, you can ask the chef to 200 g noodle or 150 g noodle. 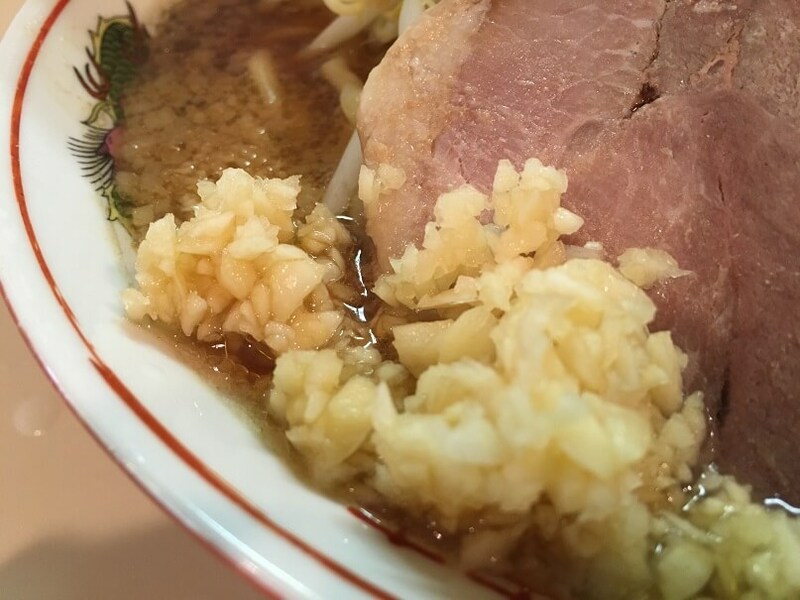 If you like strong Ramen, you definitely like it! 6 minutes walking from Khaosan Tokyo Origami!! !